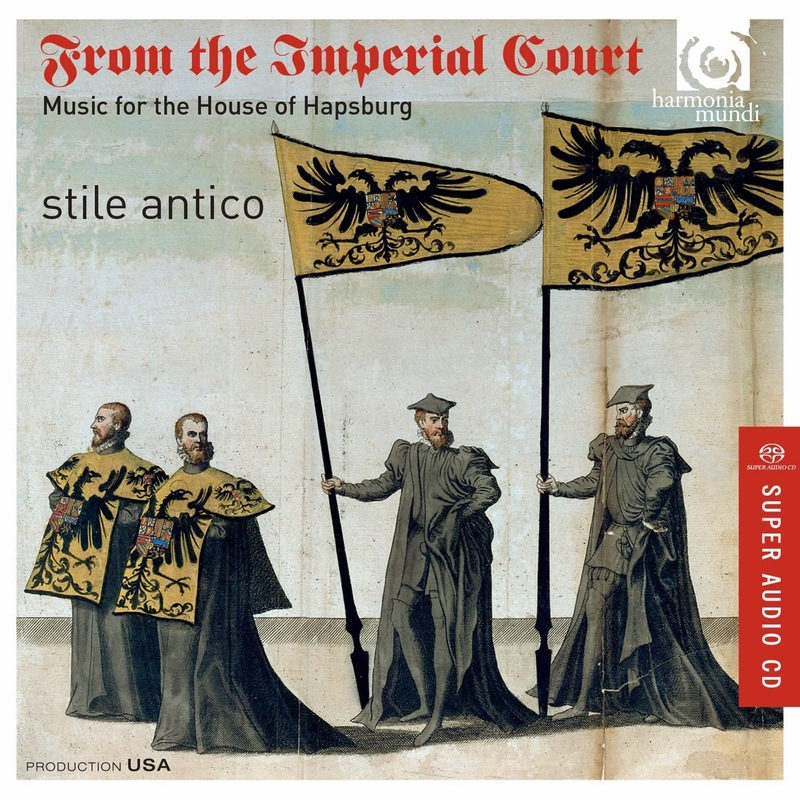 This disc on Harmonia Mundi presents music from composers associated with the Hapsburgs ruling Germany, the Netherlands and Spain in the 16th century, with works by Morales, Crecquillon, Tallis, Josquin Senfl, Gombert, De La Rue Clemens Non Papa, Lob and Isaac, performed by the British vocal ensemble Stile Antico. The historical background to the disc requires a good head for history. 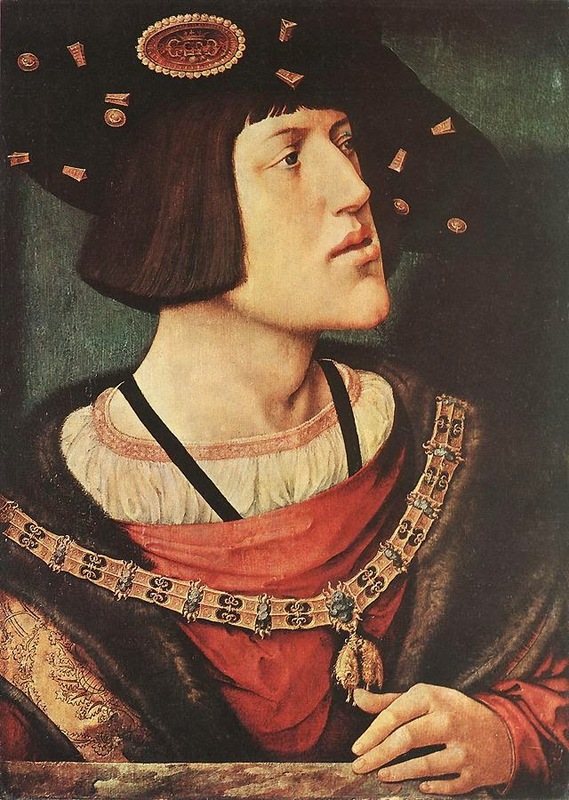 It starts with Philip, youngest son of King John II of France, created Duke of Burgundy and married to the heiress of the Count of Flanders, the couple ruled over an apanage split between Burgundy in France and the low countries. 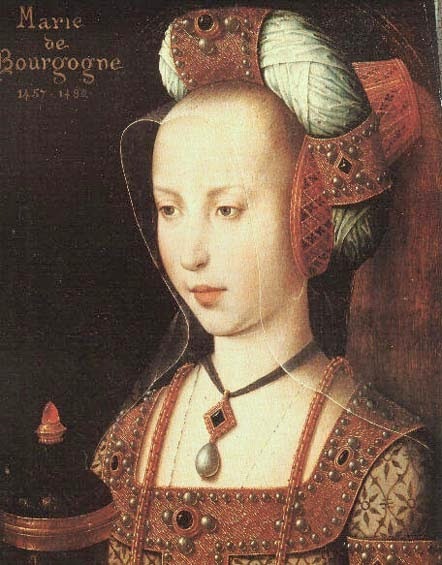 There were three more dukes (the Fearless, the Bold and the Good), with the final one leaving an heiress Mary of Burgundy who married Maximilian, eldest son of the Holy Roman Emperor Frederick III. The couple would eventually rule of the low countries and the Holy Roman Empire. Their son Philip the Handsome, was married to Joanna of Castille. Joanna was heiress to a united Spain, eldest daughter of King Ferdinand of Castille and Queen Isabella of Aragon. Joanna's soubriquet, the Mad, came about because it suited both her father and her husband to have her not compos mentis and thus rule in her stead. Philip died young, so ultimately Joanna and Philip's son Charles inherited the Holy Roman Empire, Netherlands and Spain (and its colonies overseas). It couldn't last and Charles ultimately retired, splitting the empire between his brother (who became Holy Roman Emperor) and his son (who became Philip II, King of Spain). In a move which led to generations of conflict, the Low Countries went to Philip. Philip married his cousin Queen Mary of England (daughter of Henry VIII, and Joanna's younger sister Catherine of Aragon). The wedding celebrations and subsequent festivities involved both the English Chapel Royal and the chapel from the court in Flanders, which was known as the Grande Chapelle (called the Capilla Flamenca by the Spaniards). This led to an interesting cross pollination of repertoire. The music on this disc only covers the latter half of this story, from Maximilian onwards. But the first half is important. The patronage of the Dukes of Burgundy would lead to an important Flemish school of composers, everyone wanted one. Maximilian's most notable court composer, as Holy Roman Emperor, was Heinrich Isaac. 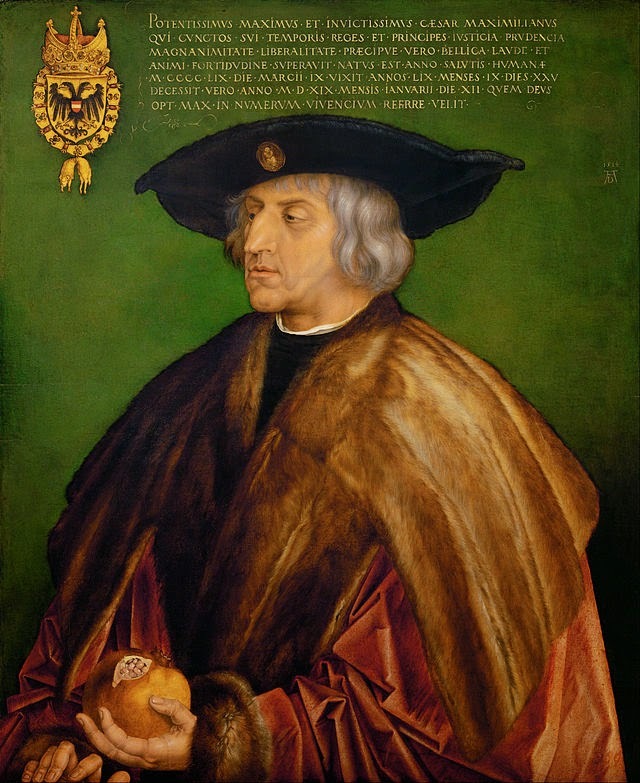 Isaac's Virgo Prudentissima was written to order for the Reichstag of 1507 which confirmed Maximilian as Holy Roman Emperor. It is a grand, large-scale piece with a certain self-conscious archaicism. Meanwhile, over in Burgundy Pierre de la Rue joined the Grande Chapelle and would remain there when Maximilian's son Philip the Handsome took over from his father as Regent. De le Rue's striking setting of Absalom fili mi probably dates from the period of Philip's early death. When Maximilian himself died, Isaac's pupil Ludwig Senfl composed the rather stark motet Quis dabit oculis. Maximilian's grandson Charles's musical focus was on the Flemish Grande Chapelle (rather than the German court musicians). One of its main gifted composers was Nicolas Gombert. 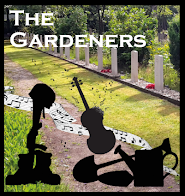 A singer and composer about whom lurid tales are told. He was supposedly convicted of sexual relations with one of the choir boys and sentenced to the galleys. His set of ten magnificats persuaded Charles to pardon him, though how he wrote them whilst on a galley we do not know. Stile Antico performs the Magnificat primi toni which alternates plainchant with polyphony, varying the number of voices in the polyphony till we reach the lovely six-part conclusion. One of Charles's favourite songs was supposed to be Josquin's Mille regrets. Here was have both Josquin's and Gombert's own version of the song, a six-voiced reworking of the original adding a more complex texture. Christobal de Morale's motet Jubliate Deo was commissioned in 1538 when Pope Paul III, for whom Morales worked, celebrated a peace treaty between Charles and Francis I, King of France. The work is firmly jubilant with the cantus firmus of the piece based on the plainsong Gaudeamus omnes in Domino. Another opulent motet, written for another state occasion was Thomas Crecquillon's Andreas Christi famului, probably written for a meeting in 1546 of the Order of the Golden Fleece, the Burgundian order of Chivalry. The motet was for Vespers for the Feast of St Andrew, the order's patron saint; a gloriously rich eight-part piece as befitted the occasion. It looks likely that the motet Carole magnus eras by Jacob Clemens Non Papa was written in 1549, when Charles promulgated the Pragmatic Sanction which re-organised the 17 provinces of the Low Countries into a single entity, to be inherited by his son Philip. The text isn't that of a motet, but a more ceremonial one addressing Charles. When Philip married Queen Mary of England, he brought the Capilla Flamenca in his entourage. 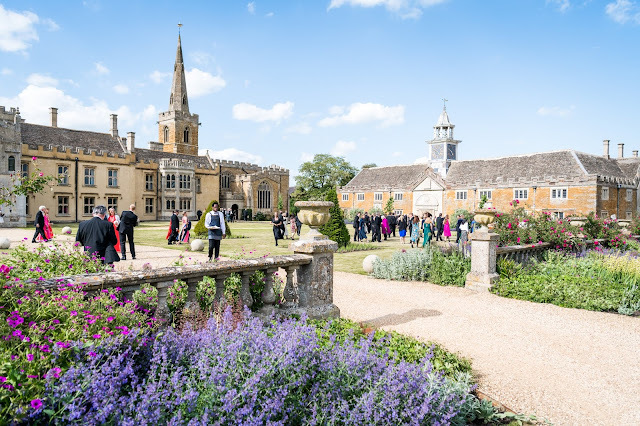 A group of English pieces at this time have unusual (for England) seven-voiced scoring, and a narrow range (the English specialised in high treble parts) which points to works written at the English court for joint performance by the two chapels royal. Here Tallis's Loquebantur variis linguis comes from this group, its Pentecostal text perhaps a dig at the difficulty the two groups had understanding each other and the many false relations a hint at Flemish compositional styles. We finish in poised manner with Alonso Lobo's Versa est in luctum which was written for Philip's funeral obsequies in 1558. With such a programme, there could have been an entirely different selection of motets telling the same story, and a little more time to dwell in the various places would have been nice. But as a way of articulating this lovely repertoire the disc works well. Particularly as the performances from Stile Antico are so fine. The basic group here is 12 singers, with an additional four added as needed. They perform without a conductor, which gives even the larger scale pieces a sense of intimacy and communication. Speeds tend to be on the steady side, lack of conductor urging caution perhaps, and there are no shocks. You could, in some pieces, imagine larger scale performances but throughout they make a firmly rich sound, giving full weight to the individual lines but blending too. 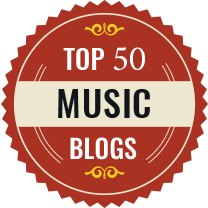 In fact there are times when you could imagine you were listening to more singers. The 15 singers in Tallis's Loquebantur make a glorious noise, with the false relations adding fascinating spice. But here, and throughout, there is also a sense of shape and poise and the more intimate items like Senfl's Quis dabit oculis have a lovely sense of quiet concentration and inner beauty.